The Islam Awareness Blog: Is another Lebanon War round the corner? Israeli Defense Minister hints at Tel Aviv's intention to launch another offensive against Lebanon, saying the war would be more devastating than the 2006 war. "We cannot accept that a neighboring UN member state should have in its government representatives of a militia that has more than 40,000 rockets," Ehud Barak said Thursday referring to Lebanon's Hezbollah resistance movement. 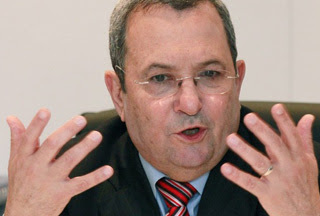 While claiming that Israel did not strike at Lebanon's infrastructure hard enough during the summer war of 2006, Barak said that Tel Aviv would use all its force in a possible conflict on Israel's northern border. "If there is a conflict on our northern border, we will use all necessary force," the Israeli minister said, adding that Lebanon's infrastructure was spared as a result of pressure from the United States. "What happened in the second Lebanon war will not happen again... at the time a message from the United States indicated we must spare Lebanon's infrastructure," he continued. Hezbollah leader Hassan Nasrallah turned up the rhetoric against Israel on Friday at a mass rally in Beirut marking the third anniversary of the Second Lebanon War. "Our position is that a unity government in which Hezbollah will be an effective player is urgently required. Hezbollah is able to hit every city in Israel, and I repeat: If they hit Beirut, we will attack Tel Aviv," he said. "We have two options. One is to succumb to Israel and let it call the shots in the region. The other is to be strong so that the Israelis would think a thousand times, even a million times, before they launch a war against Lebanon and Hezbollah. The option is ours." Nasrallah also said the threats exchanged with Israel over the past few weeks did not necessarily point to a new conflict in the region. "The Israeli threats are no more than psychological warfare," he said. "According to my knowledge of Israelis, when they jabber they are not to be feared. We should be vigilant when they are quiet like snakes." Lebanon is truly the two-faced Janus of the Middle East. As the country revels in a tourism boom and Beirut's beaches and restaurants brim with visitors, beneath the surface there is deep unease about the potential for violent upheaval. Arriving in Beirut, the country's politics – the prevalence of engaged discussion – slaps you in the face. Even while waiting in the departure lounge for my flight there, I caught several animated conversations – the names of leaders past and present floating through the air. The ongoing cabinet negotiations and uncertainty that followed the "victory" of the March 14 Alliance are front-page news that greets you on exiting Rafik Hariri international airport, built and named after the man whose unresolved death is a parable for the inherent weaknesses of the Lebanese pseudo-state. Travelling into town from the southern suburbs the horizon is packed with cranes that are finishing off the rebuilding from the 2006 Israeli bombardment. The drive through the city is a trip of political portraits and tribal flags. The astonishing volte face of Druze leader Walid Jumblatt away from what was simplistically characterised by many commentators as the anti-Syrian alliance is still rocking the boat of Lebanese attempts to form a cabinet. Initial promises by the March 14 group to form one within a week, and to have enough independence to stand apart from Hezbollah, have been shattered and some are questioning whether the young Hariri has enough of the political acumen that fuelled his father's success until his untimely demise. Meanwhile beneath the political bickering a greater challenge may lie on the horizon. There is talk of "war shopping", of people storing up supplies in case growing Israeli rhetoric towards the country becomes a reality. Interestingly even Hariri stated recently that "We are neither against Iran, nor against Syria; we are only against Israel because it is our enemy." This is despite the enduring legacy of the 2006 conflict, which is still very visible. Buildings are being rebuilt, Israeli aircraft regularly buzz the south and hundreds are maimed or killed each year by the millions of cluster munitions that were dropped during Israel's retreat. Similarly to the 2008 Gaza conflict, the 2006 war was a "rocket war" where initial attempts to rescue captured soldiers escalated to the almost impossible task of destroying Hezbollah's rocket arsenal. According to recent reports this arsenal, although pushed north of the border by the expanded presence of international peacekeepers (Unifil 2), is estimated to be 40,000 strong with rumours that some rockets could hit Tel Aviv or even Israel's undeclared nuclear weapon facilities in the south. This would give Hezbollah, an ally of Iran, the potential to extract an "eye for an eye" if any US/Israeli attack against Iran's nuclear facilities was to occur. This may be simple Hezbollah propaganda designed to ward off any attack, yet during the 2006 war the missile strike against the Israeli navy and the ground handling of anti-tank munitions speak of an adversary that should not be taken lightly. Perhaps this explains the increasing pressure from Israel. Last week the Israeli deputy foreign minister promised that if "one hair" on a representative of Israel or an Israeli tourist was hurt, there would be "dire consequences". This may be an attempt to warn Hezbollah off seeking revenge for the car bomb assassination of Imad Mugniyeh in Damascus last year. Yet Hezbollah's leader, Hassan Nasrallah, admitted that he misjudged the Israeli response to the soldiers' capture in 2006 and he would be well advised not to treat the Israeli threats as empty. There is of course a historical precedent: the 1982 Israeli invasion of Lebanon was triggered by an assassination attempt on their ambassador to the UK by Abu Nidal. An Israeli administration frustrated by the American attempts to rein in its settlement programme could find welcome distraction in an attempt to succeed where Kadima failed. Whether there is a war or not, the very fact that such potential still exists, only three years after a previous conflict wiped out the lives of so many, is testimony to the dangers of conflicts that are not resolved but rather simply put on ice.